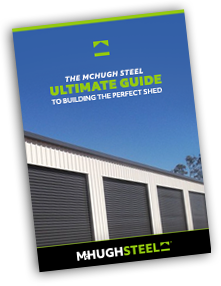 The term “McHugh Steel” or “us” or “we” refers to the owner of the website whose registered office is 17 Phoebe Crescent, Bundaberg QLD 4670. The term “you” refers to the user or viewer of our website. This website and its content is copyright of McHugh Steel Pty Ltd - © McHugh Steel Pty Ltd 2017. All rights reserved. This includes, but is not limited to, the design, layout, look, appearance, content and graphics of this website.